Is Hinsdale Basement Waterproofing the Right Choice for You? At some point in your life, you’ve likely heard about basement waterproofing. However, just because you’ve heard of it doesn’t mean that you really know what it is. You may not know much about what it entails, or why it can be useful. Are you aware of the practical and financial importance of basement waterproofing? Curious as to whether or not it’s right for you? If so, we can help you understand. Below, we will discuss some of the primary advantages of basement waterproofing in Hinsdale, Illinois. Hopefully, by discussing these advantages at length, we can help you make your important decision. Regardless of where it’s located, each and every basement deals with the same problem: fighting off the inward flow of water. As water makes its way through the ground, it seeps down toward the walls of basements, trying to find any entryway that it can. In many cases, water is able to seep into basements through cracks in the foundation. Depending on the severity of these cracks, they can allow for mild to rapid waterflow. In some cases, they’re so severe that they lead to flooding. The good thing is that, by waterproofing your basement and having these foundation cracks repaired, you don’t have to worry about any water seeping into your basement. Everything will stay dry, and all of your possessions will remain perfectly safe. As you might know, moisture and mold go hand-in-hand. In the vast majority of cases, mold will appear in areas that are prone to moisture exposure. This is why your basement is exceedingly vulnerable to mold. Unless, of course, you have your basement waterproofed. Fixing foundation cracks, installing a sump pump, and laying down drain tile are all good ways to prevent moisture from hanging around in your basement. One of the vital aspects of basement waterproofing is foundation crack repair. This is due to the fact that foundation cracks tend to allow in a great deal of groundwater. However, fixing foundation cracks isn’t only helpful for keeping out water. It’s also helpful for maintaining your foundation’s overall strength. Patching up small cracks before they turn into large cracks ensures that your foundation thrives for as long as functionally possible. Another aspect of basement waterproofing is the application of waterproofing membranes. These membranes work terrifically at blocking water by providing a waterproof seal around the exterior of your home which prevents water from ever getting in. However, they’re not only useful for their water-stopping powers; they’re also useful for their insulation capabilities. If you want to create a truly energy efficient home, you should have your basement waterproofed. As it pertains to basements, moisture is an absolute killer. Not only can basement moisture ruin your possessions, it can ruin your foundation, causing it to crack and deteriorate over time. Unfortunately, a house with a deteriorated foundation is less valuable than one without deterioration. This means that, by allowing moisture to flow into your home, you’re allowing the value of your home for to be reduced. Want to ensure the value of your home is maintained over time? Have it waterproofed! In Need of Basement Waterproofing Services in Hinsdale, Illinois? Are you interested in waterproofing your basement? In need of basement waterproofing services in Hinsdale, Illinois? If so, ULB-DRY Waterproofing has you covered. 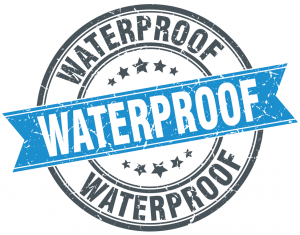 We offer a variety of waterproofing services, from sump pump installation, to waterproofing membrane installation, to foundation crack repair, and much, much more. Our team of seasoned waterproofers looks forward to helping your basement remain dry.